The place is very well located and the staff is amazing! We loved our stay there and the rooms was we'll cleaned and the air conditioning works good. 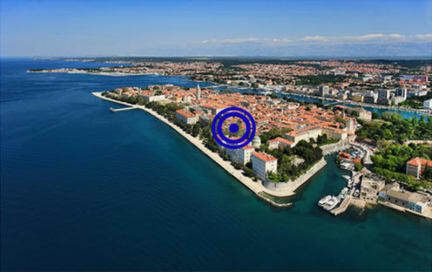 Zadar was an incredible surprise at our trip and we will return for sure!!! Great staff and location. Very clean and good vibe. O Hostel é simplesmente um dos melhores que eu já fiquei, o atendimento é maravilhoso, é bem limpo e tem um ambiente muito agradável e é perto de tudo. The hostel is simply one of the best I have ever stayed, the service is wonderful, it is very clean and has a very pleasant atmosphere and is close to everything. Very cool place to stay for a vacation if you wanna meet new people. The staff was very friendly and helpful. The only stuff I have to complain is the Internet in the hostel, it seems like a Hotspot Internet, but in the other hand everything covered this point. I would recommend the hostel.